The Health Precinct Advisory Council are delighted to announce that we will be hosting Dr Margo Brewer – a highly regarded and published international leader of interprofessional education (IPE). Margo will facilitate three workshops over the week for clinical and academic health educators, leaders, managers and clinical staff. Attendance is free. Registration is required. 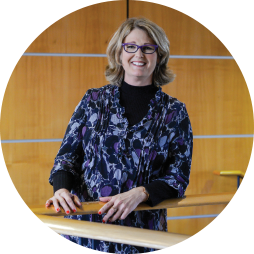 Dr Margo Brewer is the Director of Practice and Interprofessional Education in the Faculty of Health Sciences at Curtin University, Perth. Margo leads interprofessional education and clinical education/fieldwork across eight schools and 26 health related courses. She has won several teaching excellence awards for the interprofessional education program she leads and is an inaugural member of the Curtin Academy for elite teachers. She has presented on interprofessional education at over 50 conferences and published 20 peer reviewed journal papers and book chapters. Margo’s PhD thesis was on leadership of interprofessional education. Suggested audience: Health Precinct Advisory Council partners and wider health and education sector clinical and academic health educator leaders and managers – any discipline, any practice setting. Those who will lead interprofessional education or interprofessional practice within their organisation. Unfortunately this workshop is now fully subscribed. Keep an eye out for the video recordings! Designing and developing a high quality interprofessional experience for staff and/or students. Suggested audience: clinical and academic health educators from across the wider health sector. Those responsible for designing learning experiences for students in the classroom, online, simulated learning or in the practical setting.